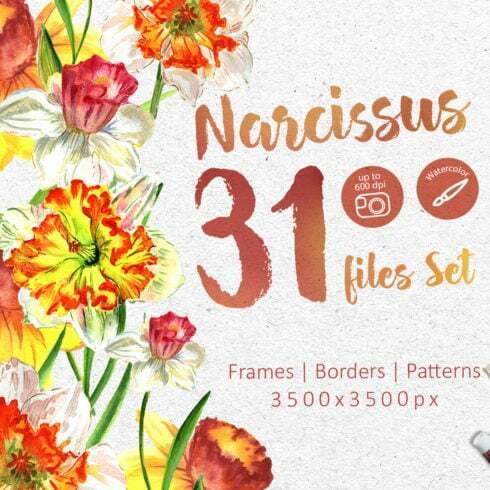 Cool narcissus yellow flowers watercolor set of 31 files. Ideal material for DIY, wedding invitations, greeting cards, quotes, blogs, posters and more. Just what is a graphic bundle deal? If you are a graphic designer focusing on numerous assignments simultaneously, you, like no others, understand the need for the entire pack of design elements at hand. Searching for those components separately, you may spend much more time and expense consequently. To obtain all the needed components within a single pack, we highly recommend trying graphic package deals. A bundle can be described as a selection of design components required for graphic design, valued for a large amount of money, yet offered at a substantially reduced price for a short time. How do you spend less on package deals? Do you want a 5% discount on any package from MasterBundles? All you need to do is just share the page with a package on social websites (Facebook). The collections of elements accumulated into a graphics package deal are typically categorized in accordance with their main objective and type. There could be deals with mockups, business card templates and icons, etc. You may also find graphic bundles designed for Christmas, Halloween or St. Valentine’s Day. For any single design job, you will require a bunch of elements – a font, a number of images, some icons, and so forth. In case you’d want to purchase every one of them on an individual basis it can cost you a lot of money! And so, that’s the reason expert designers look for some graphic bundles to buy. They allow receiving a big selection of various graphic elements for a very small price tag. MasterBundles.com presents you a big selection of different bundles. We market not just graphics bundles but additionally roughly 20 other different types of goods. Fonts, WordPress themes, mockups, icons, photos, illustrations, presentation templates and a whole lot more – on the MasterBundles.com you will be able to obtain most of the items, vital for a design. 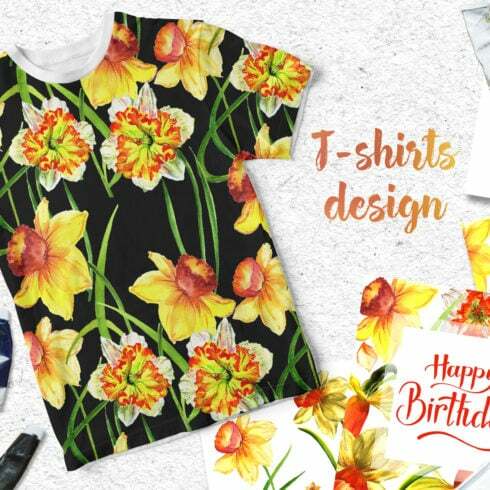 The watercolor graphics package deal can be described as a bundle made up of images and illustrations produced with watercolors. They will fit for a wide variety of businesses, like fashion, cosmetics, perfume and food distributors. Business cards or wedding invitations may be designed with this package deal. MasterBundles.com is a website that collects top deals from over the internet and lets you buy the design components you’ll need in your design work for for less money. Bundle deals this site carries are limited in time, and that’s the reason why they are so cheap. MasterBundles.com boasts a great blog with the interesting design news and features detailed.